Updated 2 Bedroom Condo in Fox Creek Village! Only a short distance away from the village clubhouse featuring a swimming pool, exercise room with professional equipment, & a large banquet room with kitchen. 2708 Westbrook Front door opens to a nice foyer before flowing into the living room with gas fireplace and cathedral ceilings. Eat-in Kitchen offers tons of cabinetry and access to the back deck. 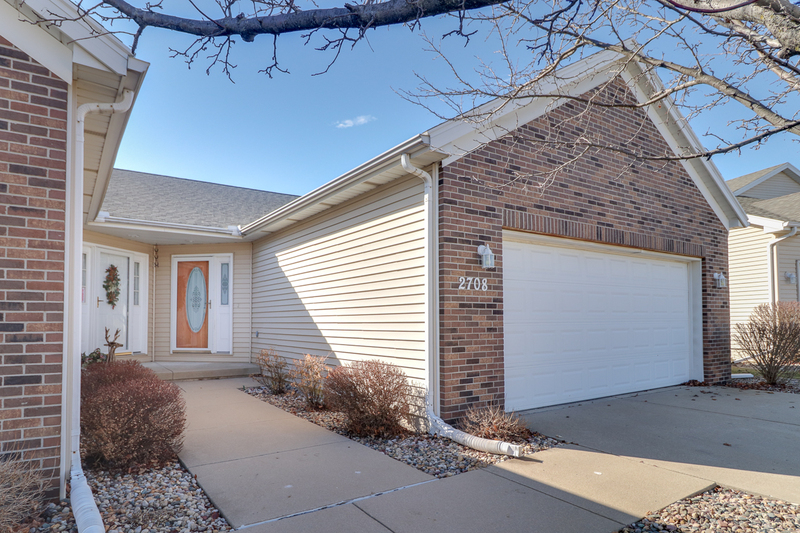 Large first floor master has dual vanity, large walk-in closet, whirlpool tub, and laundry room! In the finished basement you’ll find an In-Law Suite – equipped with full kitchen, full bath, living room, and bedroom! HOA covers snow removal of private street, mowing, fertilizing, master insurance policy, exterior maintenance, AND POOL! Agent Interest. Seller is willing to remove lower level kitchen and paint all trim, doors, and cabinets with an offer.